On the 50th anniversary of the 1963 March on Washington, the evolution of civil rights in the U.S. has vaulted healthcare to the forefront of issues enveloped in this nation’s persistent racial disparities. Among the empirically verifiable indicators of healthcare disparities one finds evidence that doctors consistently refer black patients to lower-quality hospitals, that black men are more than twice as likely to die of prostate cancer than white men, that blacks are more than twice as likely as whites to have diabetes, that infant mortality rates for blacks are 1.5 to three times as high as for whites, that there are significantly higher rates of advanced breast cancer diagnoses among blacks, that limb amputations are more than 4.7 times as likely among black patients than white patients, and many more. While some of these disparities might also be related to income, education, and geography, the disparities consistently show up as lower healthcare outcomes for blacks. Fifty years ago, when Rev. Martin Luther King, Jr., gave his “I have a dream speech” and almost a decade after the Supreme Court overturned legal segregation of public schools, U.S. hospitals were still largely segregated. It was the Supreme Court decision in 1963 in Simkins v. Moses H. Cone Memorial Hospital, followed by Cypress v. Newport News Hospital Association in 1967, which began the slow process of excising segregation from hospitals receiving government funds or taking advantage of Medicare and Medicaid. Health disparities, as Mark Curnutte of the Cincinnati Enquirer writes for USA Today, are “emerg[ing] on [the] modern civil rights front.” It may be, as Dwight Tillery, founder and president of the Center for Closing the Health Gap, a local Cincinnati organization, contends, that “everything else has been addressed—education, housing, jobs, voting rights—even though they’re not all figured out,” but not healthcare. Access to affordable health insurance, as promised by the Affordable Care Act, is one of the elements of racial disparity to be overcome. As of the first half of 2011, for the population under 65, non-Latino whites accounted for 62.1 percent of the population but only 48.4 percent of the uninsured, compared to non-Latino blacks who comprised 12.7 percent of the population but 14.3 percent of the uninsured. Latinos account for 17.7 percent of the population, but 30.2 percent of the nation’s uninsured. Compared to 17.9 percent of white men and 15.0 percent of white women, 26.2 percent of black men and 21.7 percent of black women were uninsured. Curnutte writes that “nationally, the New Jersey-based Robert Wood Johnson Foundation is one of the strongest voices working to close health disparities,” but much of the story of closing healthcare and health insurance disparities, like the history of the civil rights movement as it fought to break down local barriers in schools and other accommodations, will involve local activists and local nonprofits. Curnutte highlights Cincinnati’s Closing the Health Gap’s efforts going door-to-door in the Mount Auburn neighborhood with health information. 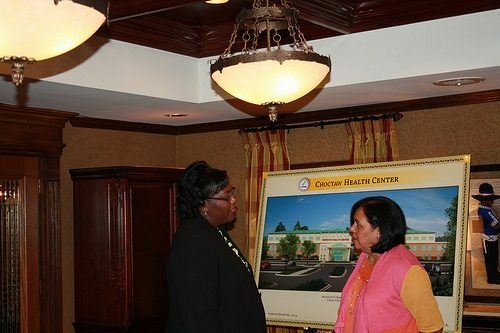 The Center has also worked with 112 churches in the Greater Cincinnati area to expand their health ministries. “Transform healthcare reform into a civil rights issue,” reminding us that “Medicare was passed as a civil rights bill,” and other healthcare system improvements should be framed in civil rights terms as well.